Hey what’s that leaking under your car? Is it red (transmission), brown/black (oil) or green (anti-freeze)? Did you know you should check your fluids regularly? That way if you can monitor fluid levels for any change. If your oil suddenly gets low, where is it going? Is it a leaky valve cover? Is it an engine seal? Is it green? Then you’ve got a possible overheating problem or maybe it’s just a simple leaky hose. How will you know? Are you seeing red fluid? You’ll be seeing red if you don’t get it to Elkhart Mechanics and have it checked out ASAP. These problems can very expensive if not caught soon. Elkhart Mechanics are there to help you in any leaky problem. Elkhart Mechanics can help you diagnose and solve problems related to your car’s many fluids. It is easy to check your engine oil and to replace it if it is low, but if your car is using up oil faster than normal, it may indicate a problem. Most newer cars are very efficient with engine oil, and you only need to replace your oil once or twice a year. With some fluids, low fluid is a symptom of a problem rather than the problem itself. Brake fluid, transmission fluid, and power steering fluid are all parts of closed systems within your car and do not run low when your car is working well. If they leak or run low, it often indicates a problem for which simply pouring in more fluid is not a permanent solution. Checking the levels and quality of your car’s fluids can help prevent wear and tear and can prevent some of your car’s systems from malfunctioning. 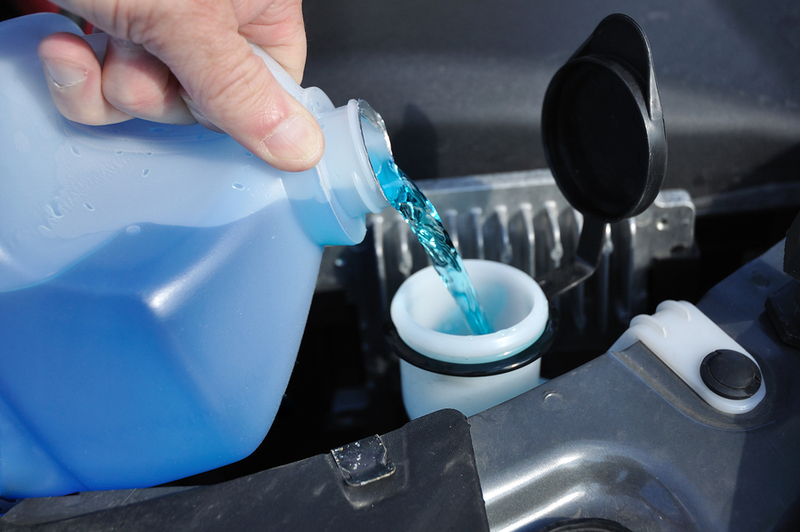 You can tell if your engine has enough coolant just by opening the hood and looking at the coolant container. Likewise, the brake fluid and power steering fluid containers are transparent, and you can tell just by looking whether you have enough. Sometimes the color of the fluid indicates that it needs to be replaced. Transmission fluid should be red, and brake fluid should be yellowish, but they turn brown over time. If these fluids look brown, it is time to replace them. When you bring your car to Elkhart Mechanics, the mechanics at our garage will be happy to show you where the reservoirs of these fluids are located under your car’s hood so that you can check them and bring your car in for maintenance when the fluids start to look abnormal, potentially preventing a more costly problem.